Rachana worked for about six years in Nepal and South Asia through LI-BIRD focusing on the gender and social inclusion issues in agriculture and biodiversity management aspects. 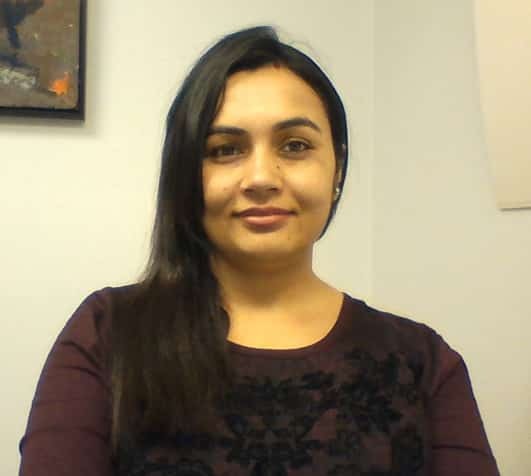 She has wider experience of managing projects and program, conducting social and gender research and analyzing the findings in quantitative and qualitative way. Rachana will contribute in designing and conducting gender related survey and also in consumer feedback survey to monitor the impact of technology promoted by SAKs project in Nepal. She will closely work with Manish Raizada and Helen Hambly from UofG and with Kirit Patel and Hom Gartaula from CMU.